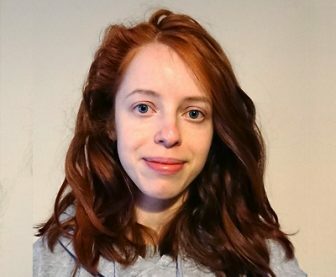 Anastasia Voronkova is a PhD student working on the Blue Communities Programme. Her PhD will investigate the interaction of health and wellbeing and environment conservation and sustainable exploitation (alternative livelihoods) in Indonesian Marine Protected Areas. Anastasia has completed a degree in Asia Studies (2014, 1st class) in the Russian Federation, including living and traveling through China for a year as an exchange student. Having worked for two years afterwards, Anastasia decided to continue her academic career in a slightly different direction and was accepted to a “Science Communication” MSc programme of the University of the West of England (completed 2018, distinction). This programme gave her an opportunity to take part in various projects, including using actual BBC West broadcast centre and BBC Radio Bristol, and producing a locally printed and distributed magazine, as well as a video dedicated to Bloodhound SSC project that was filmed at its local facilities and then edited from scratch. Anastasia’s final project was done in collaboration with Durrell Wildlife Conservation Trust, contributing to the exploration of partitioning of social media audiences in conservation charities and zoos. Anastasia is largely interested in working with data and in quantitative methods in research in general. She has also always been fascinated by marine wildlife, especially by sharks, which has resulted in her enthusiasm regarding marine conservation and other spheres related to it.